Edraw offers a group of human organs for illustrating many topics of visualizing ideas. You can apply them in many fields such as Traditional Chinese Medicine and education. Edraw's human organs clipart shapes are all vector-based supporting zooming in while keeping highly clear. Besides, they are colorful and vivid, with selection and control handles. 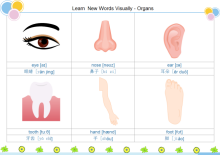 Included are eye, nose, ear, oral, throat, arm, leg, foot and so on (see the illustration below). You can add text box to every organ shape. To do so, select the shape and click Symbols tab, then use Text Tool to add text box. See more in Human Organs Diagram Symbols. Clipart plays an important role in diagramming for their nature of visualization and expressiveness. 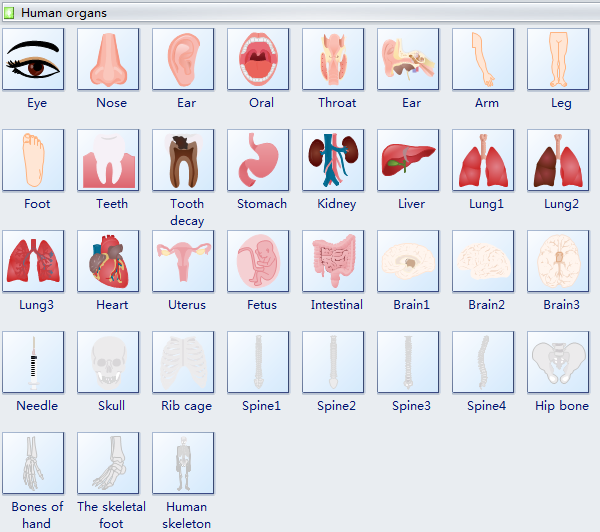 Human organs clipart can be used in various areas. For example, you can clearly represent TCM's five element thought in a circular diagram with kidney, liver, heart and lung shapes. 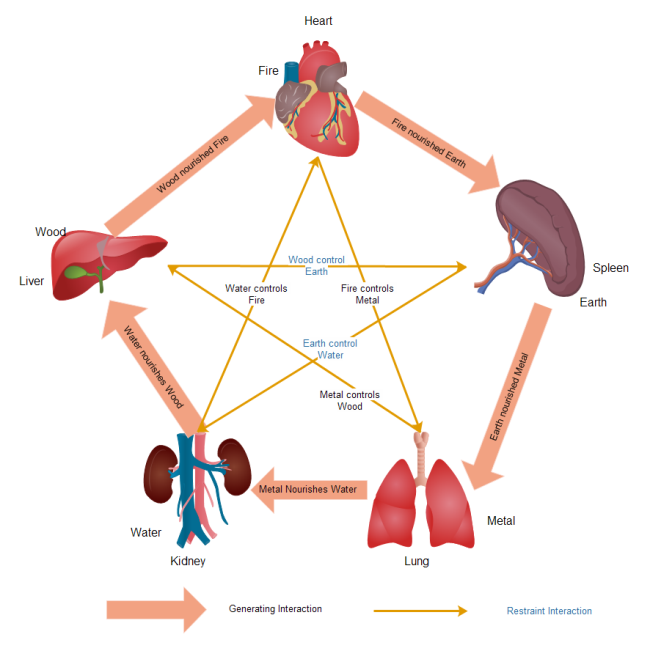 See the following five element diagram. Another example is the categorization of learner types. Doubtlessly, they will be of great help for students learning medicine. Click here for one more example. Discover why Edraw is an excellent program to create human organs. Try Edraw FREE.